Melody is a very mysterious cat. She hardly speaks to anyone, preferring to use tail signals and soft gestures to get her point across. In doing so, she may seem shy at first, but this is hardly the case. In fact, she talks when she's alone, to herself, and sings, and hums. 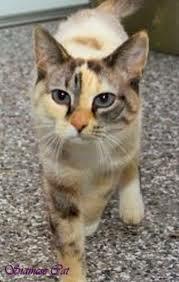 Melody is very friendly and sweet to all cats she comes across. She has an adoration for all animals alike, small or big, and believes each one plays their part in the circle everyone calls life. Melody is gentle and passionate. When she does speak, her voice is soft and smooth, a quiet, melodic ring to it. Thus her name. Melody cares deeply for her friends and family, showing this with simple gestures of affection. Melody doesnt like to get too mushy on anybody, regardless to how loving she can be. She knows how to take her time, warm up to others. Of course, it never takes her too long to warm up to anyone - She's trusting. Not naive, but trusting. She sees the good in everyone. One thing that sets her off from other kits is that she doesnt play. Well, she doesnt play rough, at least. She'll participate in little games with her siblings every once in a while but prefers to sit on the sidelines and watch. She likes to observe, and more than anything she enjoys the sound of laughter. Melody stays calm in almost every situation, even the most dire ones, she keeps a level head and pushes forward. She believes there is always a steady path; Sometimes you just need to walk through the bumpy roads to find it.